DANZKA Citrus is guaranteed to please lovers of this classic flavour profile: It boasts enough playfulness to brighten up many cocktails, and yet sustains a more grown up flavour profile for the more seasoned drinkers. An ideal choice with a splash of soda or cranberry. Color Polished & bright robe, with long but quickly. 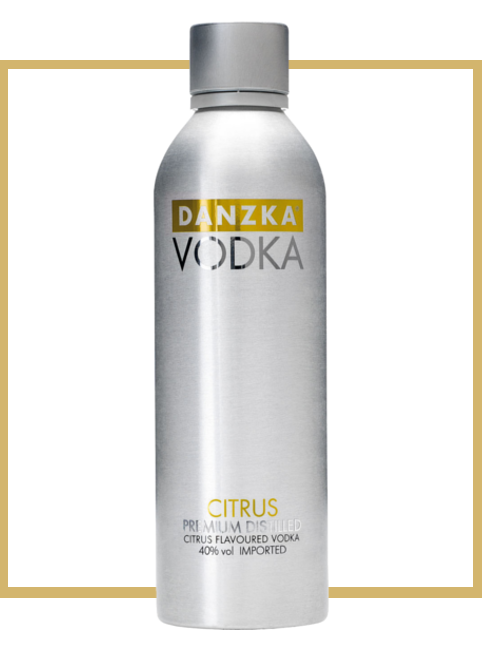 Nose Unlike many types of citrus vodka, DANZKA Citrus opens up with lovely, slightly sweet aroma of Lemon Drop candies. This playful character develops into a bright, zesty & fresh 100% lemon identity that is sustained all the way to the first sip. Taste The initial sip leads us directly back to these lovely sweet & sour Lemon Drops, to develop into a more adult bitterness of the dried lemon peel. Finish The finish is truly bombastic! The entire mouth is subjected to an intense & skillful medley of over-ripe Meyer lemons on one hand, and a plethora of spices, ranging from ginger to chili & pepper on the other; yet never overwhelming nor unpleasant.